A greater requirement for energy efficiency in recent years has seen corresponding rapid growth in the number of ESCOs. In order for EU 2020 targets to be successfully reached, higher energy savings and greater investment in renewables are required. Consequently, ESCOs offering tailored energy services like supply of energy systems, maintenance, bespoke system design, auditing and analysis are growing in number and importance. ESCOs are of particular interest to policymakers because an ESCO with a performance contract can be incentivised to increase energy efficiency on a micro scale and thus make a significant contribution to reducing carbon emissions on the aggregate scale. ESCOs differ from traditional energy companies in that they can guarantee energy savings or the same level of provision at lower cost. Through effectively designed contracts, ESCO's earnings can be tied to performance, ensuring energy efficiency is in the interest of providers and consumers. An excellent example of an ESCO effectively serving the needs of citizens in a city is the Gothenburg energy company - Göteborg Energi. 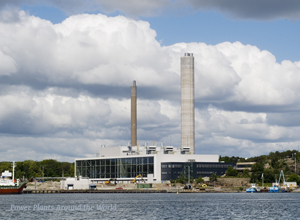 Göteborg Energi aims to provide sustainable energy services to its citizens with services throughout western Sweden, from district heating to fibre optic cabling. Their 1000km + district heating network provides affordable and effective heating to over 90% of Gothenburg's apartment blocks. Another example of a successful ESCo is Aberdeen Heat and Power. Established in 2002, Aberdeen Heat and power provided district heating to 1,600 flats and 9 public buildings in the city of Aberdeen, a partner in the Scottish Cities Alliance and a STEP UP companion city.